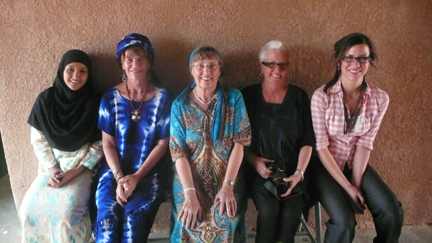 Our first volunteer, Hannah Armstrong was set to arrive on a flight today from Niamey. Just got word that the flight was cancelled because of technical problems with the plane. Very typical scenario in Africa. Hope it doesn’t happen to the three who arrive on Wed. I wonder when she will finally get here? Stay tuned. Here is a picture of Hannah when she came in 2010 with another group of workers at the medical clinic. She is a far right. She is a journalist and will function this trip as an interpreter. Thank god for arnold. Sounds like u r pushing a boulder up a mountain! That saying is alive and well and still widely used–and truer than ever.